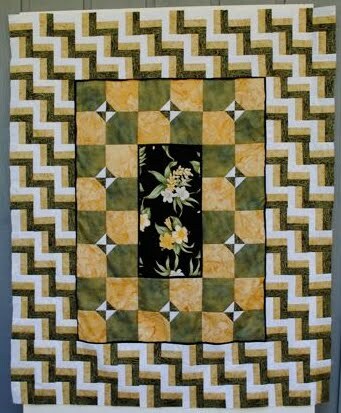 Have you ever gotten fascinated with a single quilt block? 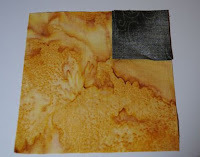 A friend gave me a book called "Japanese Quilt Blocks" by Susan Briscoe that she picked up at a garage sale. 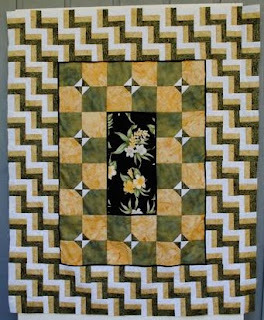 The book depicts 123 separate quilt blocks and how to assemble them. 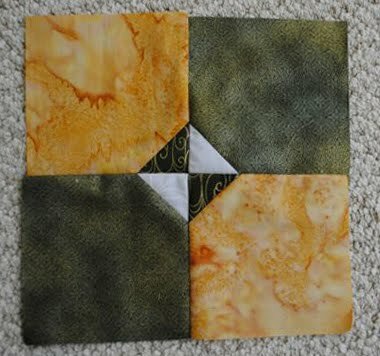 My Turtle quilt used two of the blocks and I just completed a second quilt using the same two blocks. One of them, Yosegi kaku to sankaku, has me mesmerized. The Japanese words translate as 'squares and triangles'. The method of assembly is simple and dependable. In fact the method probably interests me as much as the design in some ways. Here is how my most recent quilt top turned out. My mind is currently racing with possiblities for changing proportions and playing with color. I am always looking for simple patterns to assemble in tandem to working on more complex works. Yosegi kaku to sankaku fits the bill! Wow, Judy! This is gorgeous. I like the design and the colors. It has a calming feel to it. Just beautiful. Thanks, Karen. I am really pleased with it. Just assembling a back for it now. Lovely! The follow up to "Japanese Quilt Blocks" is coming out next month - "Japanese Taupe Quilt Blocks". Susan, I am delighted to hear from you! I will look forward to your next book. I found this one to be very user friendly! Thanks Judy! I've added a link to your blog in my latest blog post. 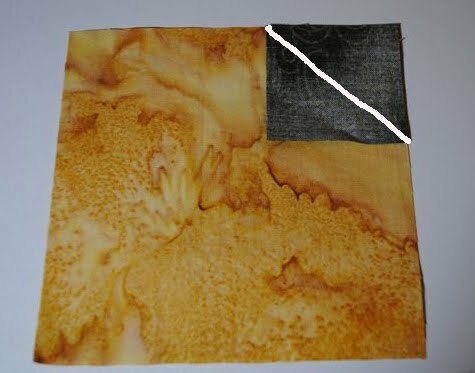 Your quilt is so elegant - I love the colours you've used. If more restrained colours are your style, the new book will be perfect for you.